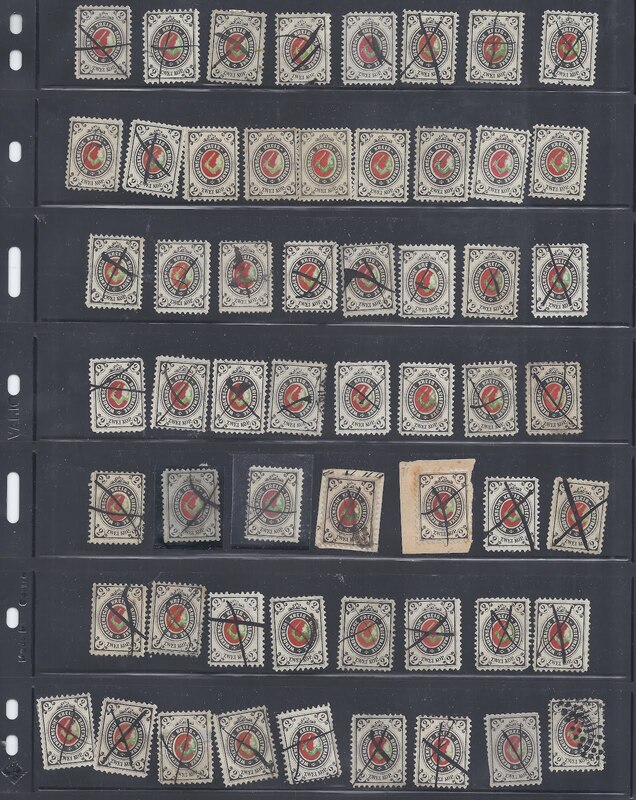 Trevor Pateman's Philately Blog: Wenden: Cheaper than Zemstvos! The district of Wenden, now in Latvia, operated a postal service from 1863 to 1903. The service functioned very much like a Zemstvo post: Wenden stamps carried mail only within the district; outside, Imperial stamps needed to be added. Though Wenden stamps were often reprinted to satisfy the demands of collectors, the postal service was perfectly genuine. The Arms type stamps shown in my illustration were in use for nearly twenty years and a useful study can be made of papers, perforations and shades. Cancellations other than pen crosses are very scarce, however. Most of the stamps of Wenden are inscribed in German reflecting the language of the dominant families of this region, but I notice that the last stamp of Wenden (1901) - showing the castle - is inscribed in Cyrillic. Coveres and cards are not that scarce. They are usually combination items with Imperial stamps and can be found priced from about 100 euro to about 300 euro. 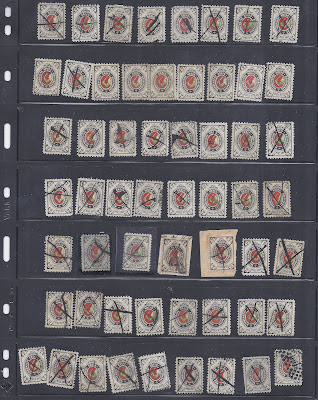 Ideally, the Wenden stamp should be tied with the Imperial cancellation since it is easy to fake a Wenden cover by adding a pen cancelled stamp like those shown above. It occurs to me that I do not think I have seen a combination cover going into Wenden, with the Wenden stamp paying for local delivery. Perhaps local mail delivery was free and did not require a stamp. Perhaps incoming mail is just that much scarcer. Comments? 12 November 2016: In relation to the Comment below, Wenden was not a Zemstvo because the Imperial government's authorisation of Zemstvo organisations did not extend to include the Lifland guberniya. I just assume that the Wenden postal service was really an exercise of some Baltic Baron's historical privilege and which was tolerated. But I have not read the history. A question rather than a comment. You say 'The service functioned very much like a Zemstvo post...'. Would you know by who's authority the service operated if not a Zemstvo service? I checked Chuchin and found not listing for Wenden.